A new comedy night is coming to Manchester next month. Gag Room Comedy Club will stage its inaugural night on November 27th at the city’s Dulcimer Club. MCed by Funz and Gamez comic Will Duggan, the show will see sets from Jack Kirwan, Andrew McBurney, and Viz creator Simon Donald. Donald made history alongside his brother and a school friend by turning their playground antics into the notorious sales phenomenon of the late 20th century. 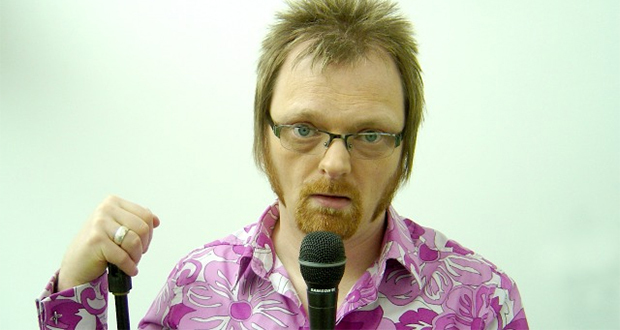 He has worked in stand-up as a character comedian since 2005 and appears as a compere, both at comedy clubs and events. Tragi-comic character comedian Andrew McBurney reached the finals of So You Think You’re Funny? and Laughing Horse Best New Act in 2013, as well as the semi-final of the BBC New Comedy Award 2014. Wolverhampton’s Jack Kirwan has gigged alongside the likes of Gary Delaney, Sarah Millican, and Carl Donnelly. He also bagged runner-up at the Birmingham Comedy Festival Breaking Talent Awards earlier this year, and was a semi-finalist in 2014’s English Comedian of the Year competition. MC Will Duggan has been performing comedy since 2009.As well as performing as a standup comic Duggan is part of the Fosters Award winning show Funz and Gamez. Tickets are £5, available online or on the door.